Volumes of imported pineapples will increase over the month. 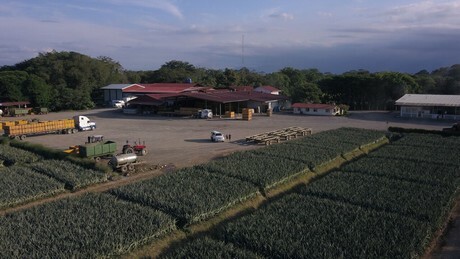 “The weather conditions in Costa Rica are excellent and both the quality and volumes are at excellent levels,” says Adriana Garcia of Chestnut Hill Farms based in Coral Gables, Fl. “Volumes have increased these past weeks and we will see the same pattern for the next month.” Overall, Garcia notes that volumes are similar to 2018’s supply levels. And while Costa Rica is the main pineapple producer for both the U.S. and European markets, some volume is also coming in from Mexico, Ecuador and Colombia. While volumes are similar to this time last year, what’s different is demand. “Demand seems to be more robust. Major retailers have realized that pineapples bring excitement to their stores and therefore run ads frequently keeping inventories at a very healthy level,” says Garcia. Demand may even have a more recent bump thanks to a video that went viral on Tik Tok about how to pull apart pineapples. The video features someone simply pulling apart a pineapple by fingers to eat it. In response, Chestnut Hill Farms has produced its own video response debunking the peel-apart pineapple myth. 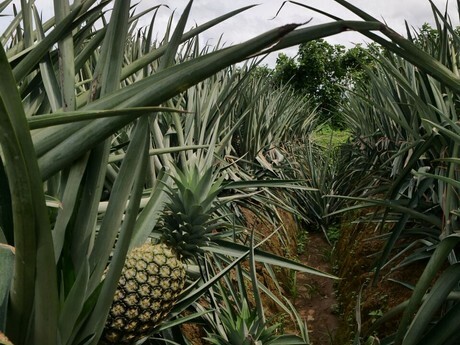 “We did this because we are convinced that educating the consumers in how to cut pineapples is key to keep consumption increasing,” says Garcia. Chestnut’s video notes that the pineapple in the viral video is a smaller Gomo de Mel pineapple hailing from Brazil and one that’s rarely seen in North America and Europe. Instead, more often these continents import MD2 pineapples from Costa Rica and Chestnut Hill’s website offers a page of instructions as to the best way to slice and dice a pineapple.